Filled with powerful Bible stories, detailed illustrations, memory verses, and fun activities, this book is sure to delight preschoolers and parents alike. Students can reinforce their knowledge of the stories through fun crafts that utilize preschool appropriate skills such as cutting, pasting, and tracing. 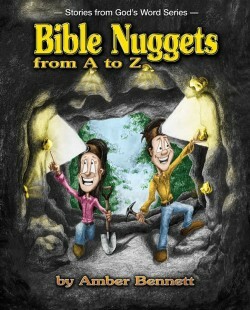 Bible Nuggets seeks to help place the truth of God’s Word deeply in the hearts and minds of young students so that they may better learn to love and obey God.